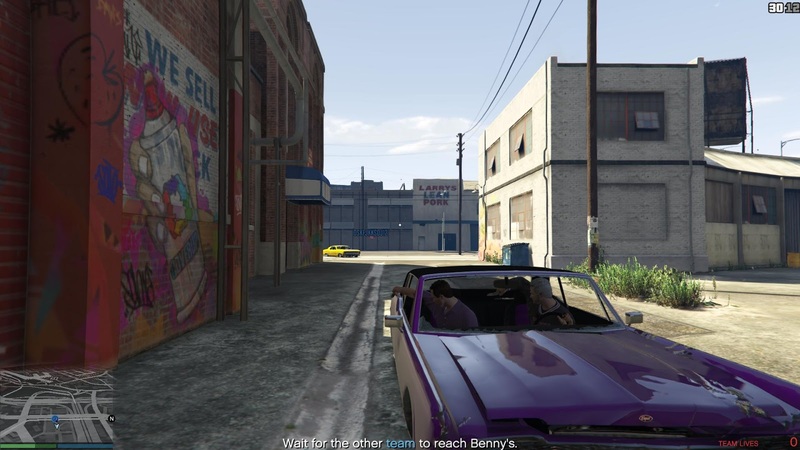 Multiplayer Grand Theft Auto… who wouldn’t jump at the chance? 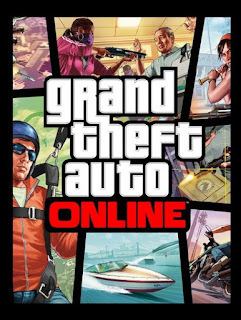 I remember back in the days of the first GTA in the late 90’s playing at school and at friends’ houses where LAN gaming was a very new thing, until GTA became available on consoles and multiplayer was largely forgotten about. When the PC versions of GTA3, Vice City and San Andreas came out and there were many player-created mods that allowed for “Multi Theft Auto” as it was called though I didn’t get involved as I thought it would be much too complicated to set up. It wasn’t until GTA4 came around that after finally finishing the singleplayer I decided to delve into the multiplayer, and despite some issues with that awful games-for-windows-live system it worked out ok. Free-for-all was fun where you just drove around the city and shot each other though you always just ended up going to the airport anyway, I loved doing races especially boat and helicopter races, one of my favourite activities was the “Team Mafiya Work” which involved doing ludicrous things for a Mafia gang boss like blowing up vans around the city or finding disembodied heads and throwing them into a body of water. Then of course all that died down and there were less and less people playing in anticipation of course, of GTA5. In this case GTA Online and the GTA 5 Story mode were almost two separate games altogether as such I decided to review them separately as well, as the review would have been much too large if I included both of them. Having finished the story mode and also my review of that part, I was eager to see what the multiplayer had to offer and indeed it looked good. 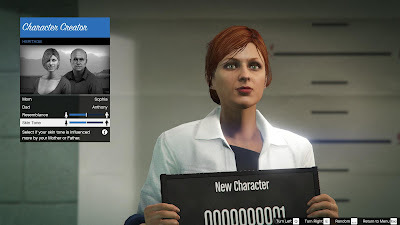 When starting up GTA5 you basically choose whether you want to play online or story mode then still sign in to your Rockstar social club account. I had an interesting time creating my character as it seems as well as the usual array of options and sliders to change your appearance you have an option your parents between a male and a female character and use slider bars to switch the resemblance (some of which I recognised namely GTA3’s Claude, Nico Bellic and Red Dead Redemption’s John Marston). I chose Claude as my father and some other woman as my mother and ended up with a reasonably skinny pasty looking dude, but meh he kinds looked like me and that was fine. Starting the game I actually found that it had a semi-storyline in itself as there was an intro and everything, you’re apparently a friend of Lamar Davis who you’ll recognise from the story mode and he starts you off on a tutorial where you learn the basics of online play, I almost thought there was going to be a story which you could play by yourself if you couldn’t find anyone to play with but this was unfortunately not the case. 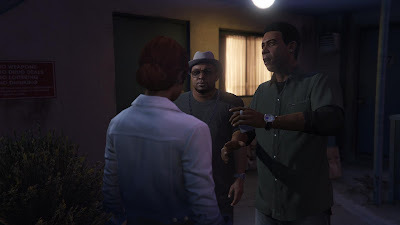 It turns out that the events of GTA online actually occur before the events of GTA5 as the GTA Online Protagonist is actually referred to in the main story, so you meet some characters like Gerald who you haven’t seen before in the story mode, and Simeon Yetarian who you have seen before. Simeon guides you through the process of fitting a stolen car with a GPS tracker and insuring it which is really helpful as if your car gets blown up or stolen you can get it again, and also being able to find your vehicle on the map is invaluable when you lose it. The last thing you need to do is take part in a ‘last team standing’ style activity which is called a “job” which I’ll explain more about later, where you face off with a friend or random player against another team of two in a shooting match around a particular area. After that you are free to roam around the city, which is covered in icons of different things you can do, there are also some very fun random events that you compete with other people in the session, things like a player becomes the most wanted and you have to kill them, or vehicle challenges like how far you can drive without hitting something or who can make the biggest air time. There was even this weird one where everyone had to stay in a circle which got smaller and smaller though I had no idea how you won. As I walked around I found you had most of things you did in the story mode, there was still clothes shops and garages where you could customise your car and tattoo parlours and fairground rides and car washes and barbers etc all the usual amenities stuff, though there was some notable differences like the streets seeming more sparse with cars and people probably because of the overload that players would cause. I noticed that you have character stats similar to story mode like stamina and skill with certain vehicles, I’m glad to say that now my driving stat is up to pro-racer, was probably all those races haha. As I spent a bit of time walking and driving around, going to stores and purchasing some new clothes getting used to the controls and options etc, one of the things I had to get used to in this new GTA that I may not have mentioned before was the interaction menu which is separate from the pause menu that has been there since GTA3. 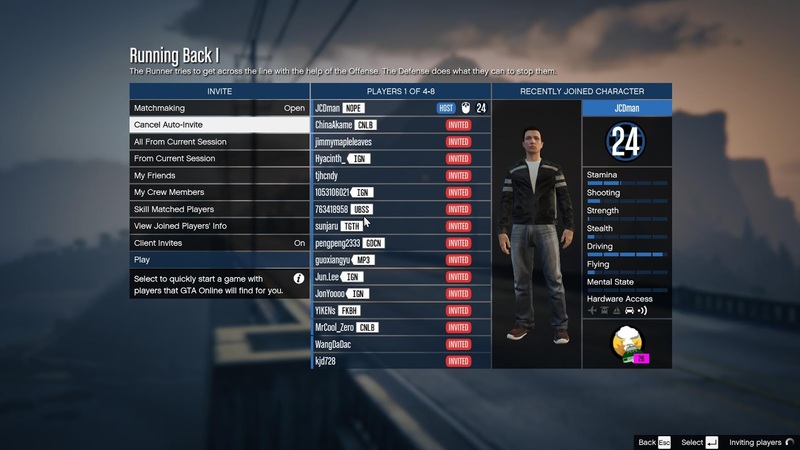 The interaction menu was introduced in GTA online and is accessed by pressing the M key, it’s basically a menu to customise your GTA online character and your vehicles. You can do things like change the armor you’re wearing, put on a saved outfit, set your motorcycle helmet and set it so you automatically put on a helmet when you get one a bike (this took me a while to work out) looking it up on the wiki I had no idea you could do that much in the game, it’s also got options for parachutes, fireworks, eating snacks, your character actions when winning/losing, your current facial expression, even your walk which I had fun looking at as they have styles like posh and feminine. 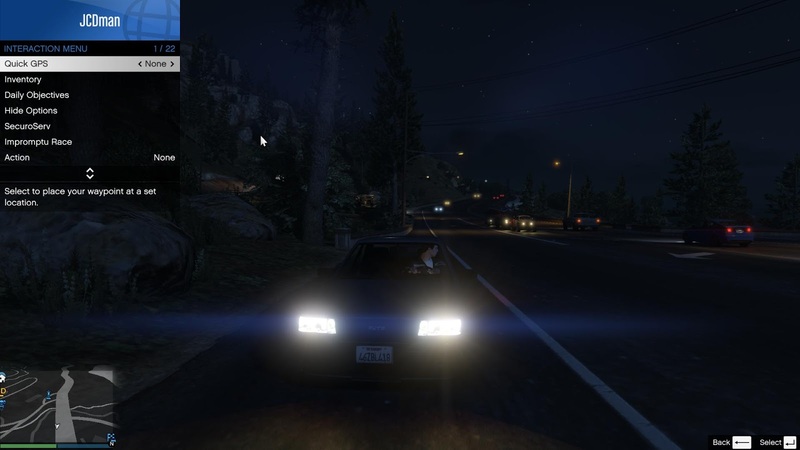 Your car options include having it delivered by your mechanic and things like ejecting people from your car or remote controlling the doors/lights plus a whole host of other things from voice chat to killing yourself, truly a powerful tool which I had almost no idea about cause you didn’t use it much in the story mode as it only had a small amount of options including quick GPS, inventory, objectives and mission briefing. 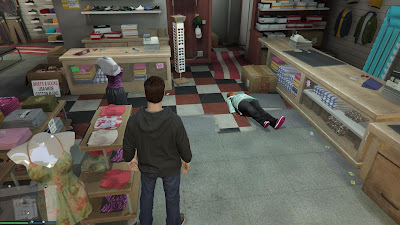 You can freely run around the city killing pedestrians or other players, robbing stores and doing random events as all of this gives you both money and reputation points aka “RP” RP is what makes you gain level or rank up and basically allows you to buy more things by unlocking them in stores and also allows you purchase higher end houses and start more jobs. Jobs are the main source of money and RP in the game, you could call these equivalent to the game modes in GTA4 whereas Race is still my favourite kind of “Job” in GTA5, as well as this include your usual simple modes such as Deathmatch, Last Team Standing as like in the intro tutorial. You also have Missions which to make things even more complicated are part of the jobs category, they are basically like the singleplayer missions you do in GTA5 but with other players (maximum 4). They are started by characters such as Lamar, Gerald and Simeon as well as Ron Jakowski , Trevor, Lester and Martin Madrazo, so basically mostly characters from the main story many of which have their own personal introduction to you. The missions generally have an ongoing story to them unique to each mission giver and I’d love to be able to do them all in a row but it’s require a lot of time gathering friends or trying to do it with people online though I did manage to do at least some. When not playing with friends I spent most of my time joining jobs that other players had set up and advertised via my job list on my phone , this is a great feature as you can set up a job and invite everyone in the session to join, from the main job menu you could purchase ammo for your weapons and also purchase more body armor. You also had Versus missions which were basically PvP and pits teams of players against each other, these were similar to the Adversary modes added later in the Heists update which has different scenarios, two of which Come Out to Play and Siege Mentality I had a go of. 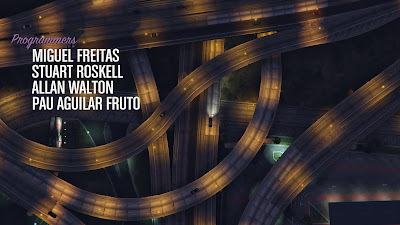 Throughout GTA Online’s run since its inception on PS3 and Xbox 360 in 2013 it’s had quite a bit of downloadable content which introduced various new content into the game such as, weapons, vehicles, clothes, tattoos and with some such as the High Life Update introducing new jobs and contact missions. 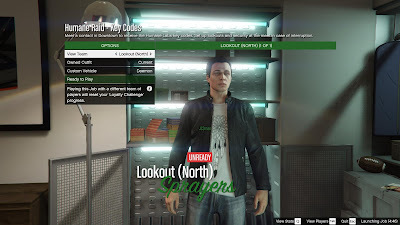 So when I finally got into GTA online in 2015 there was already quite a bit there including one of the biggest updates which was the Heists Update which as you’d guess introduced Heists and Adversary modes into the game, something that I actually didn’t realise wasn’t in the online mode from the start. There are actually only 5 heists, but each include a number of missions as part of them so they do take quite a bit of time, especially the later ones. I have done three of them in my time playing and they were all with friends, which is the best way to do it really, as heists require a lot of communication and doing this with people over the internet who you often don’t have voice communication which really doesn’t work. 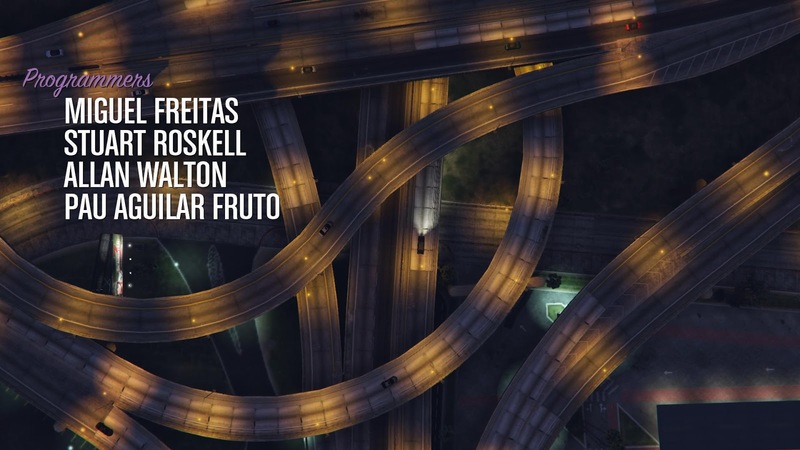 These heists bring out the best experiences in GTA as they are a huge amount of fun when you were with friends or just people who were organised and knew what they were doing. 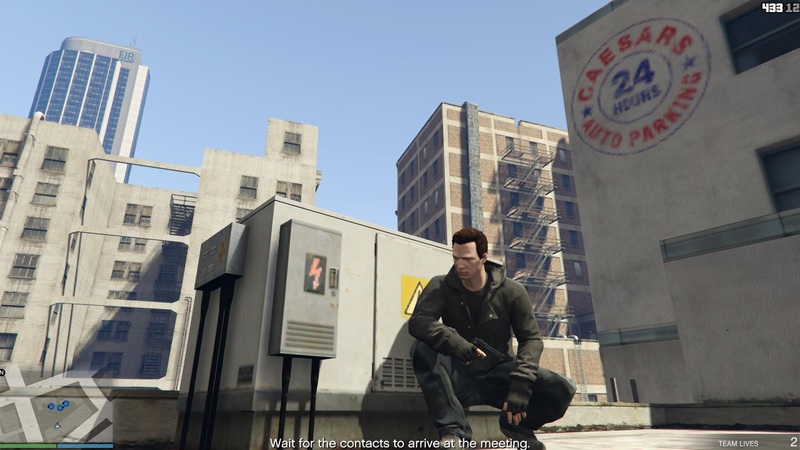 Heists are introduced by Lester Crest who sets you up with The Fleeca Job heist which is basically just robbing a small bank similar to the intro mission for GTA though it only needs two people, after viewing the intro you choose your role of who is going to do what for each . In this heist I was the driver and designated to keeping the hostages in line, in the end we pulled of the job and it felt awesome. Preparing in the lobby for a heist setup, I was a lookout. You can usual see more people in the picture though we were in different setup groups. The other two heists I’ve done were much bigger and involved more setup missions, but were ultimately more rewarding and gave me immense satisfaction to actually finish after playing online and failing most of the time with other online players. Of the Heists I’ve done the Humane Raid which led to the The Humane Labs Raid was quite fun as I was in the ground team and had to skydive and parachute into the Humane labs building and “raid the lab” then get out while the air team held off the reinforcements though probably the most memorable part of that whole heist was the Humane Raid - EMP setup which had us sneak onto an aircraft carrier and steal a Hydra jump jet so one of us got in the Hydra and the rest of us got into P-996 Lazer fighters and then we had to defend ourselves from the other fighter jets and man, when Kenny Loggins ‘Danger Zone’ came on while that was happening I didn’t think the game could get any better, it was one of those golden gaming moments and I just wish I knew what I was doing as it took me ages to get to grips with the controls. The other heist, the Prison Break I had a very specific role as the pilot, I just basically had to go to the airport and grab the plane then fly to Sandy Shores airfield and await the ground team as they break the prisoner out, I also had to avoid enemy jets that came to shoot me down but that was done easily by flying behind them though after reading the wiki I noticed all I had to do was not leave Los Santos and the fighter jets wouldn’t come, derp oh well. 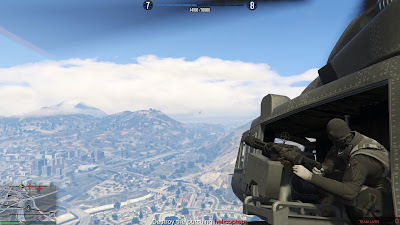 The mission was pretty hectic as I had to land and take off several times in order to get enough of a window to pick up the ground team while the demolitionist held off the cops in their helicopter. We ended up making it but it was pretty tight, both of these heists were done at the Bluewire LAN party which is the only way to do it I reckon though you do need internet which is a bummer, perhaps with friends on skype would be best. Stealing the Jumpjet and other with the EMP in one of the setups for the Humane Labs Raid Heist. Fly into the Danger Zoooooooone! 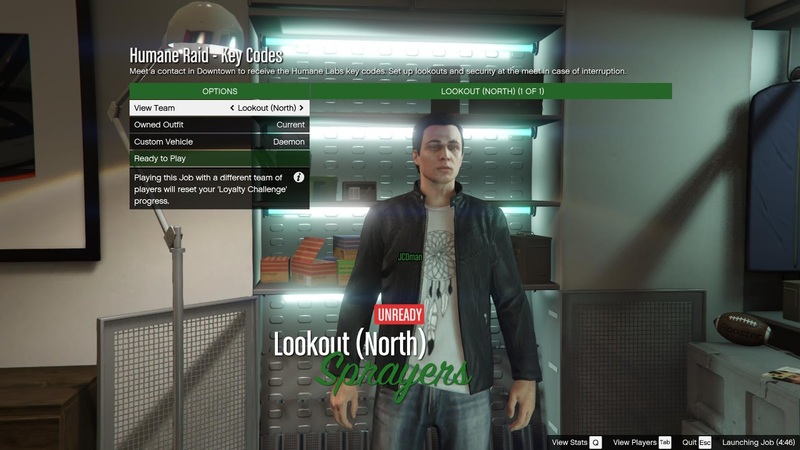 Missions and Heists in particular had a difficulty rating which the session host could change. The difficulty of the job was obviously the biggest game changer of how many attempts at the mission you’d have you’d have as when doing a missions you’d have a set amount of “lives” shared by everyone in the group and when they ran out and someone died then you’d need to start the mission again. on easy you had two lives but got no extra RP or cash for the mission, on normal you get 1 life and a 25% bonus and on Hard it’s a 50% bonus but no lives so if someone dies it means a restart from the last checkpoint, I swear one mission I did we ended up doing it about 10 times before giving up. It really depends on the difficulty and how good you and your teammates are but to be honest I think I’d think I’d rather have unlimited lives to be able to finish the damn mission, sorta like playing Guitar Hero on easy just to listen to the song. There are still ways you can fail the mission apart from being killed, destroying a vehicle or killing an npc that was vital to a mission etc but 8/10 mission restarts were because someone had died. I swear on the hardest difficulty the enemies have much more health and take a large amount of bullets to go down, I can’t remember how many times I was shooting an enemy NPC from afar and hit them in the shoulder etc then they fall down get back up and I’d go for their head again then miss then have to wait for them to fall down and get back up yet again. I mentioned this in my story mode review as well as I swear that blue flash telling you they are dead is a godsend as how many times have you shot an npc then wasn’t sure if he was really dead? Err that wasn't me, really! I also thought that I’d need somewhere to park my car, so by this time I had made up enough cash to purchase a safehouse through that Dynasty 8 site. 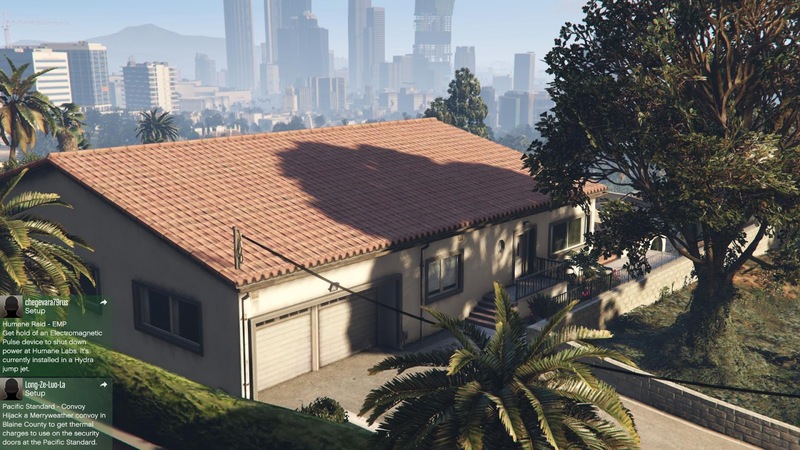 I had the idea that my character like me was middle-class so I got a pretty good mid-range house at 4 Hangman Ave in the Vinewood Hills for $175,000 which was a pretty good price, a goddamn bargain by today’s standards. Even though the actual advert says it was astronomically overpriced and it was the most expensive mid-range house, it was an actual house not an apartment and was in a prime location close to one of the high-end apartment buildings where a lot of people lived. 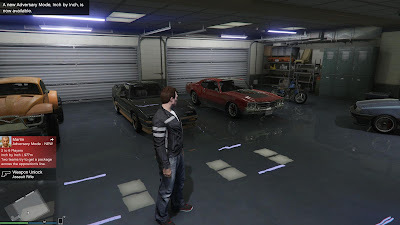 My character also preferred classic vehicles inc muscle cars like the Sabre Turbo, street racers like the Ruiner and motorcycles like the Daemon. I also got the Futo as it’s a crazy drifty little compact and also one of my favourite cars from GTA4, I even painted it in the same kind of colour that I always saw it in in that game, and I got the latest version of that classic car the Injection for some off-road madness. So looking at the property on the GTA wiki it lists as having space for 6 cars and two bikes so woo I got two more car and one more bike option available. All my cars I’ve come across by accident and have stolen them myself, I might try and find a Hexer and Sandking XL for my next two. 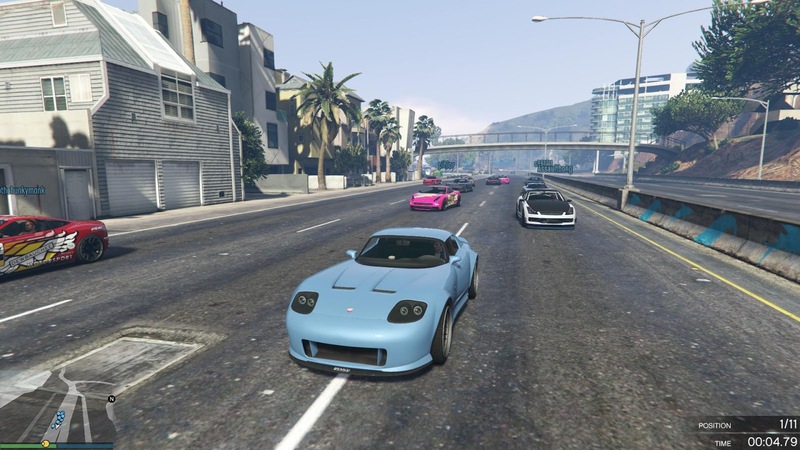 I saw huge potential in GTA online, and it’s true I loved creating my own character and buying clothes and weapons and cars and having a house and doing races and missions and heists and riding around with other players. But there was a major issue that encompassed everything about playing with other people, it’s just there was so much waiting and failing, I sometimes had to play for hours before I felt I had achieved anything. There was a few reasons for this the first was that unlike story mode where you usually just loading the game at the start then that was it, the game did a lot more connecting and loading in between, for example when joining a job from a random person you had to first connect then wait for them to get enough people to join and often this took awhile and then if you did eventually get to the job continued failure (i.e. someone dying, especially on hard mode) could break the group and then you didn’t really end up finishing it. It wasn’t all bad of course you still got money and RP even for a half-finished mission or heist but it just had no closure, I’d feel like I had done nothing compared to story mode where if I played for the same two hours I could get a crapload done. It didn’t help that the autokick for being idle is pretty damn short and often during playing sessions my game had trouble connecting and I was booted out to story mode though it seems to be better during the last few sessions. Of course you could argue that If I played with friends where we were all communicating with each other the majority of issues wouldn’t happen, though you still have to be good enough to finish the damn thing, also organising friends all the time is quite time consuming these days. I seem to not play that many games with friends these days as you have so little time to play and it’s just not convenient, to be honest I only really get going with friendly multiplayer at LANs as it’s super easy and organised and fun enough, at home it’s an issue of time and whether people want to play the same games. 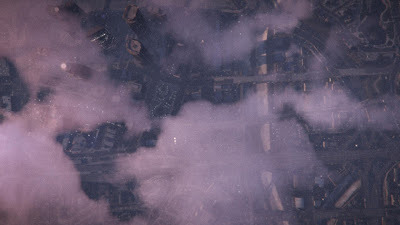 This is the view you get when GTA is connecting to another session or job, it's like your hanging above the city, pretty, but I I've been waitin here for far too long most of the time. 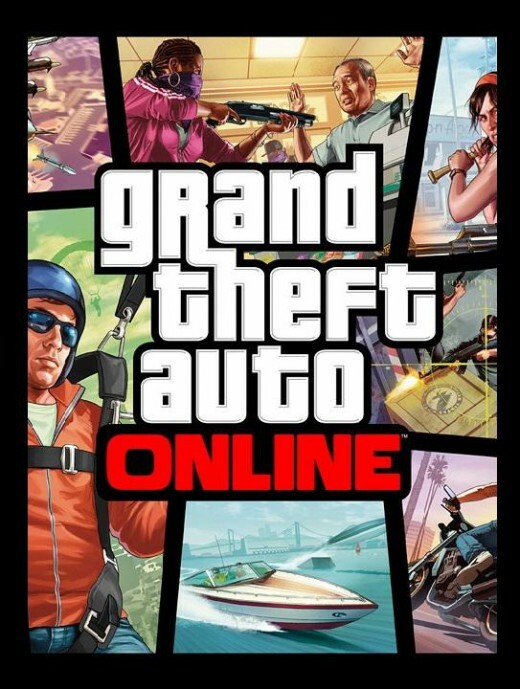 I won’t deny it, GTA5 online is great fun and I love being able to make my own character in the GTA world, and have my own house and buy my own guns and cars and clothes though to be perfectly honest in a perfect world you could do all the missions and stories on your own and had the option to do it with friends, I would be more than happy to have npc’s with me on the team as long as they couldn’t die or it didn’t matter if they did as there is a huge amount of cutscenes and dialogue and mission content that that is very similar to story mode missions and you don’t have to put up with playing an annoying character. I’ll admit doing the heists with NPC’s would be a bit weird and would require a lot scripting so I guess that wouldn’t be possible it’s just that I want to see more and do more without being hampered by the availability of other players. That said though the PVP and race events/jobs in the game are great as they don’t require you to be staying alive or needing to restart all the time and are great once they get going apart from all of those freakin annoying custom race maps and obstacle courses that I see everyone playing now, so I guess I can always go back to the likes of GTA4 style multiplayer modes if ever I’m feeling frustrated. So I concede my qualms with the game are few and could possibly be fixed and my suggestions relatively unrealistic in the long run, I’ve still got a long way to go with the game and I’m sure it has a long way to go in itself but rest assured I will still be playing it well into the future, whether online with strangers, friends, or at LANs and I recommend anyone who had GTA5 to give it a go, you might just have a ton of fun. Till now I always got by on my own.